David Groves is the editor of the James Hogg Journal, and is currently preparing an edition of De Quincey’s essays. Nelson Hilton is striving to bring the on-line Blake Concordance (www.english.uga.edu/Blake_Concordance) through the Gate of Perl which will enable Key-Word-In-Context (KWIC) format (output aligned and centered on each search result, regardless of line breaks). Morton D. Paley is completing his book Apocalypse and Millennium in English Romantic Poetry and Portraits of Coleridge is forthcoming from Oxford University Press in 1999. 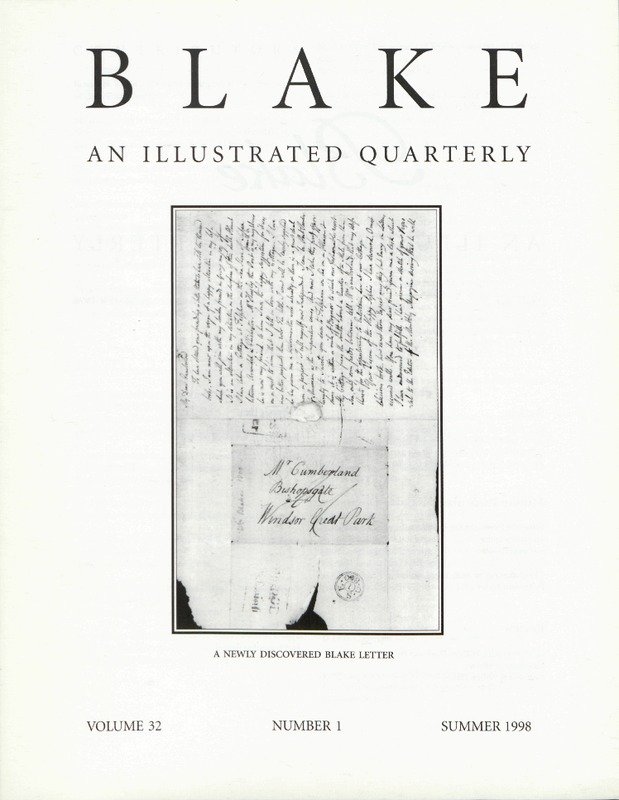 Cover illustration: Address and page 1 of Blake’s letter to Cumberland, postmarked 1 September 1800. Collection of Robert N. Essick.